Comp. 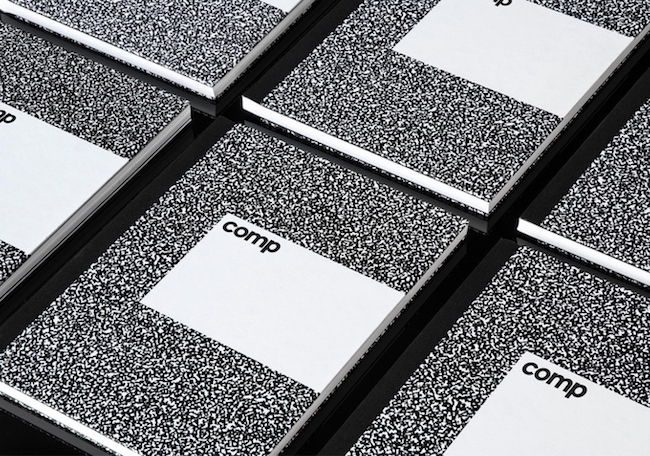 This Kickstarter is a new, modern take on the American classic Composition notebook. It’s only got 3 days to go and has already reached it’s goal, but it looks pretty good to me so I wanted to share it anyway. I heard Brad talking about this on Pen Addict, and saying that for him it’s a little too far away from the original, but as someone that hasn’t grown up with Composition notebooks and doesn’t have that nostalgia, I think it looks like a good quality notebook and I love the aesthetic (I do recognise the style, but these aren’t as commonplace in the UK). If the shipping cost didn’t push the price of these quite so high, I’d back it. Also, watch the video – it’s beautifully produced, and is a nice little history on this type of notebook. A Sketchy History of Pencil Lead. This video by NPR’s science channel Sketchy Bear (via Fast Company) is a very simple (even enough for me!) introduction to where graphite comes from and how it’s made into pencils. Daft Punk Fisher Space Pen. It seems kind of random to me for a band to do a collaboration with Fisher but this pen looks really nice! 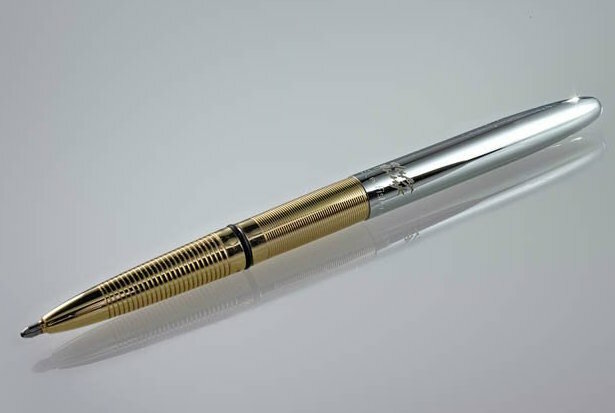 I’m not really into space pens as I don’t love ballpoints, but I think this one looks really beautiful. I love the mix of metals and the slick simplicity of the design. There’s some other cool stuff on there too; windbreakers, skateboards and holiday baubles, etc. Tom Dixon New Office line, via Core 77. 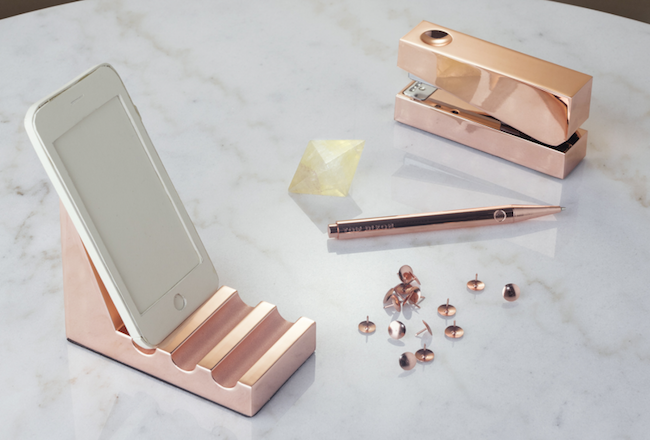 Tom Dixon obviously gets the importance of having well designed stuff on your desk, both for functionality and for inspiration. I’m always impressed by the stationery the studio puts out, and the latest release is no exception. They are quite pricey, but actually, not nearly as bad as I was expecting, with bookmarks starting at £12 and pens starting at £45. See more here. Congratulations Miette, you are one of those rare curators that make the Internet a wonderful, shiny thing. Thank you for introducing me to comp.